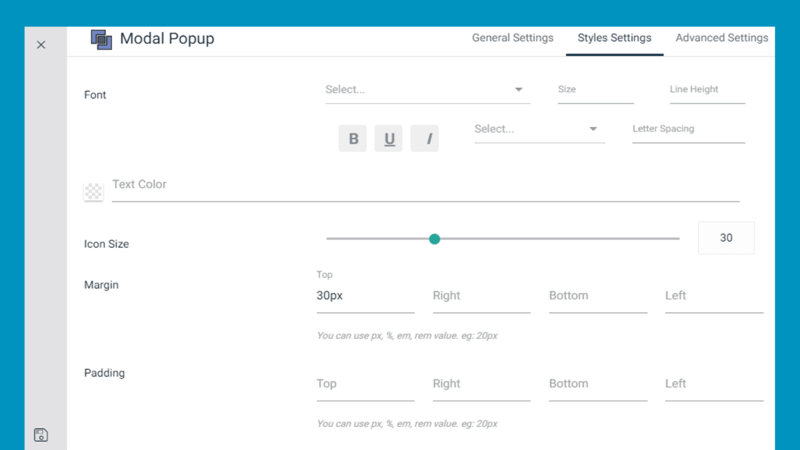 You can make popup showing a module pretty simply, just need fewer clicks to configure and can be used in any web pages. Modal Selector : Select modal from the drop-down item. You can choose Button, Image or Icon. If you select Button, a text box will appear right below this where to write the button label, if iImage is selected then you need to choose an icon from the option you'll find after selecting the icon as the modal selector. Similarly, if you select Image as modal selector then you need to upload that image by the UPLOAD IMAGE button that would be appeared right below the modal selector option. Text Alignment : Select the position of the texts used in the module. Modal title : Give a title that would be appeared as a pop-up message title. Content : Write the content text here that would be appeared as the pop-up description text. 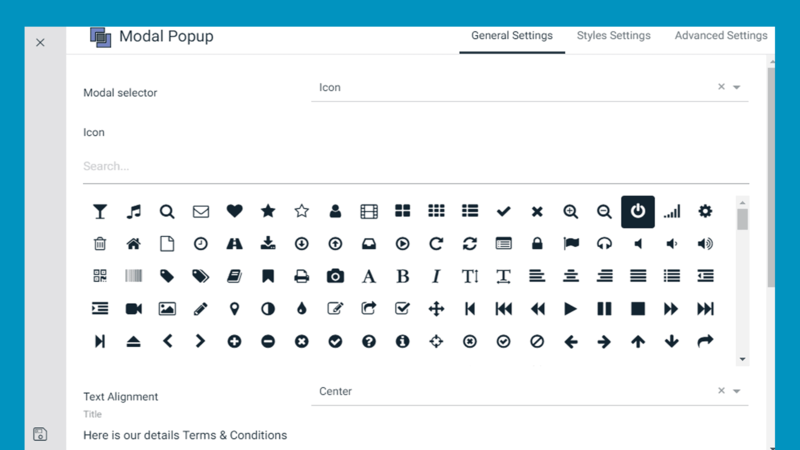 Font : Select a font style for the texts of pop-up messages. Text Color : Choose a color for the texts used in the content area.